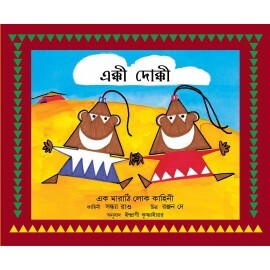 A timeless Marathi folktale about one-haired Ekki and two-haired Dokki, illustrated with happy triangles. An endearing Marathi folktale about two sisters. Ekkesvali has one hair on her head; Dhonkesvali has two and thinks she's great. 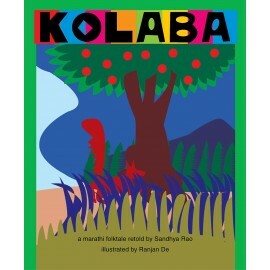 What happens to them when they meet an old woman who lives alone in a clearing right in the middle of the forest…? 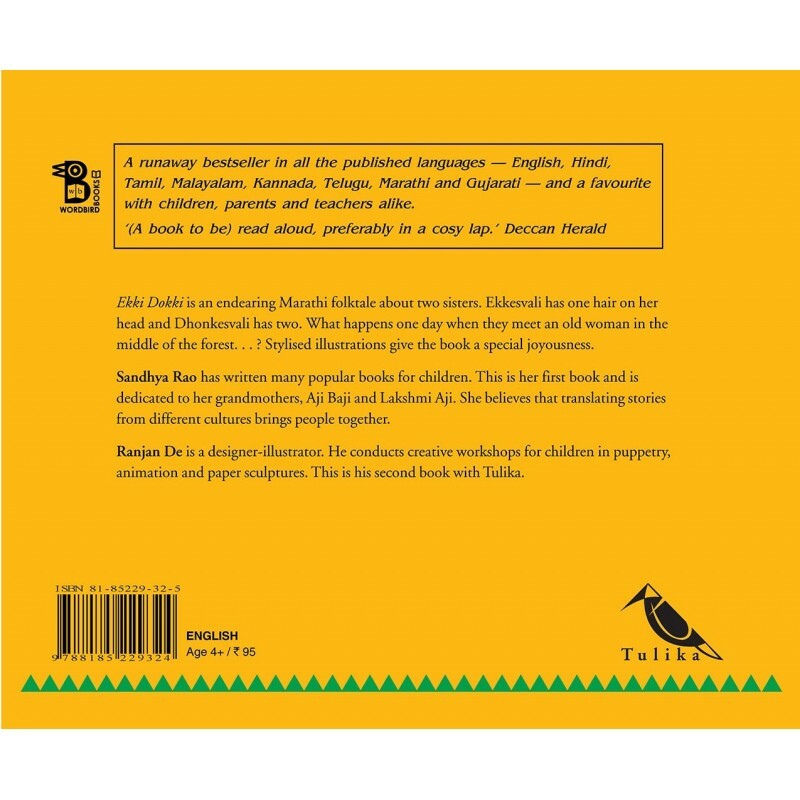 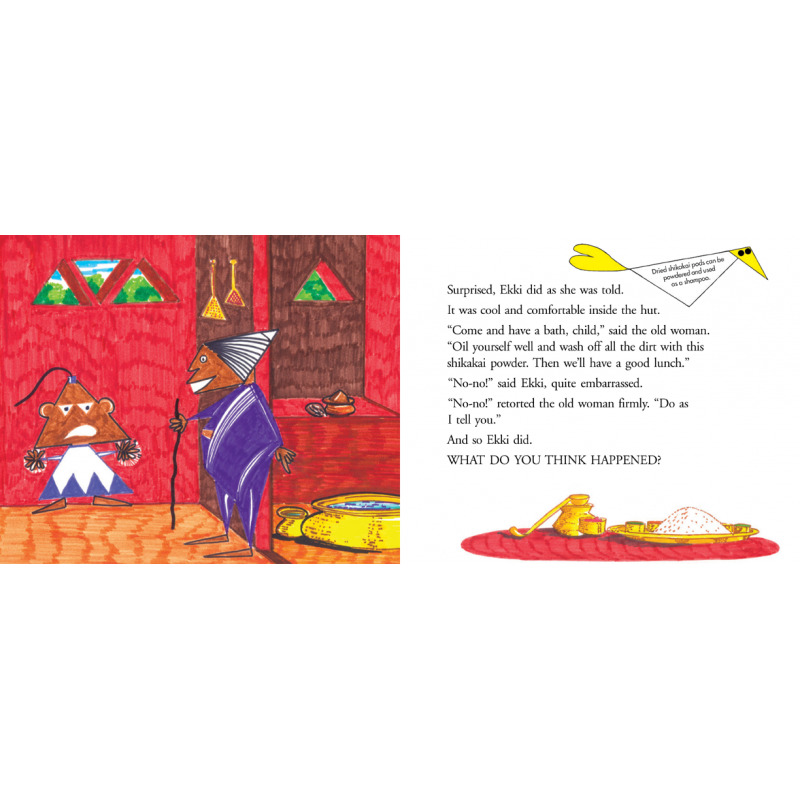 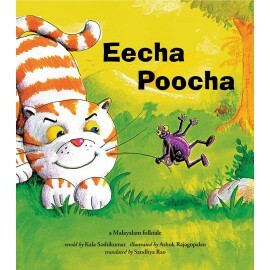 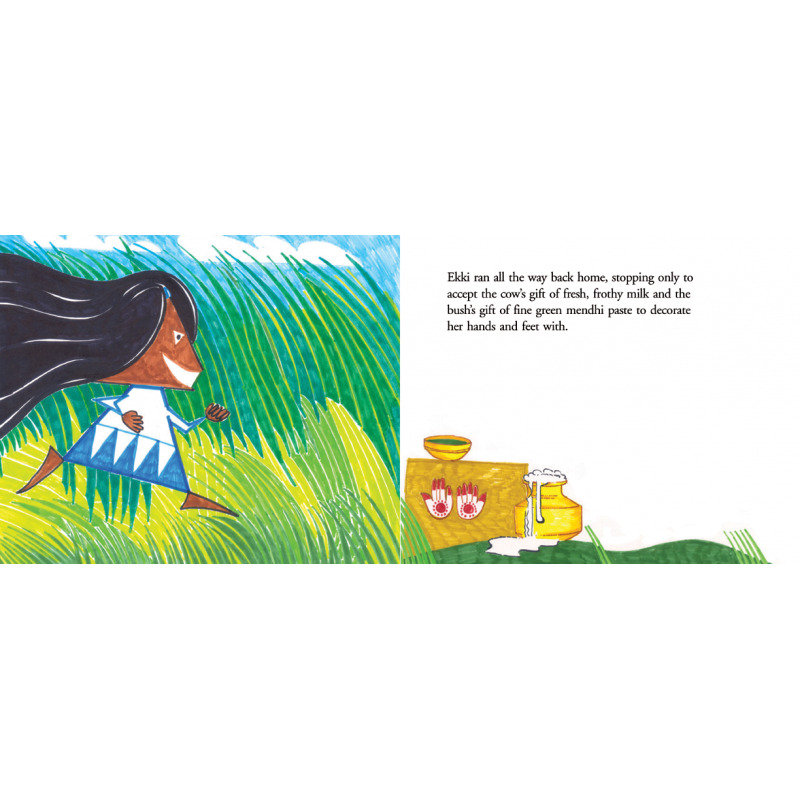 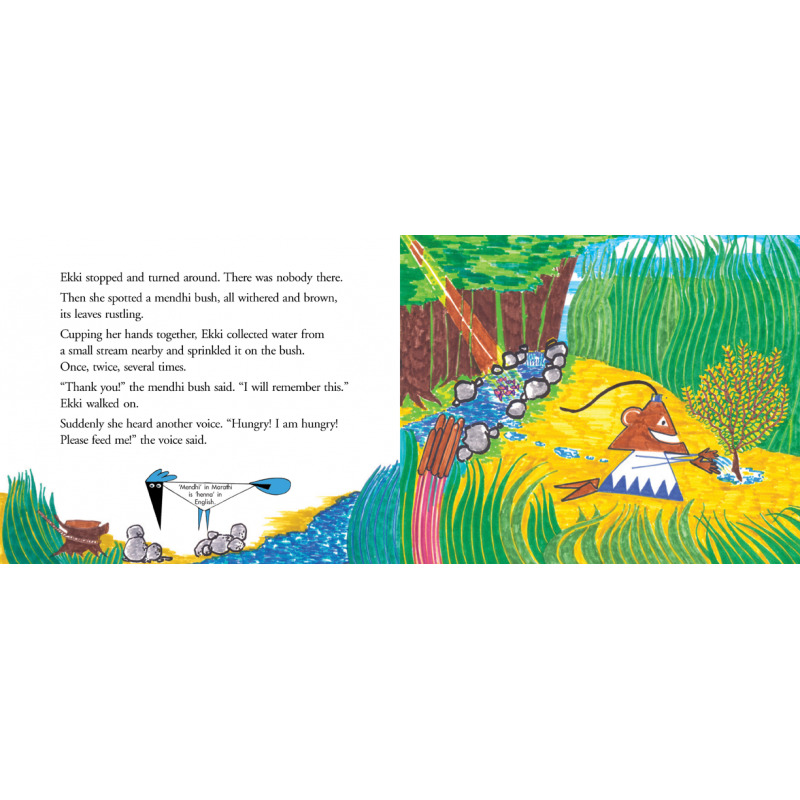 This folktale takes on a special joyousness with Ranjan De's stylised representations, full of interesting details.